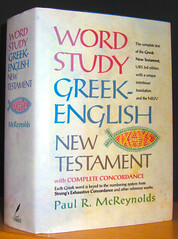 Title: Word Study Greek English New Testament with Complete Concordance. 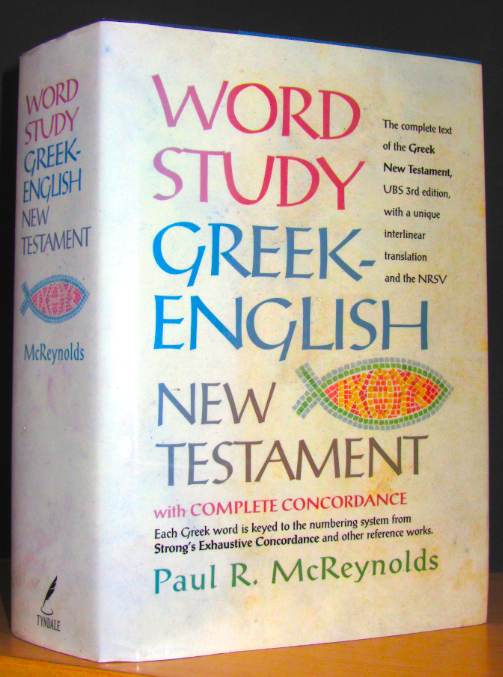 • The complete text of the Greek New Testament, UBS 3rd corrected edition, with a unique interlinear translation and the NRSV. Comments: Hardcover large octavo with dust jacket; XVIII, 1785 & (4) pp. New Testament Scripture text, Greek and interlinear in single column; NRSV text in the outer margin. Greek text keyed to Strong ‘s numbering system. The following “Introduction“ (4 pp) serves as an operator‘s instruction to the UBS Greek text; the linkage to the numbering system of James Strong´s Concordance; and the specialties of the English Interlinear Translation; final topic is how to use the "Strong 's Exhaustive Concordance: reference source is the Berlin edited “Computer–Konkordanz zum Novum Testamentum Graece“, published by Walter de Gruyter, 1980). 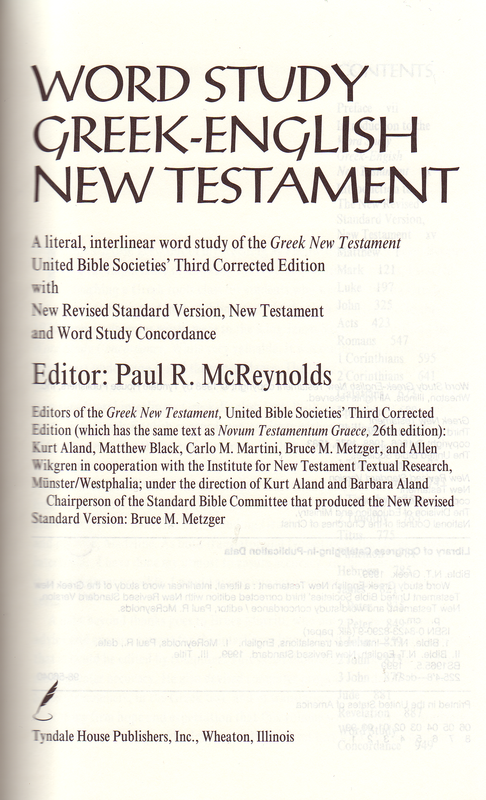 The 3rd Introduction is that of the NRSV New Testament. The NT texts run from p. 1 to p. 947. The Complete Concordance comprises of 836 pp.